ARE YOU RELOCATING TO THE USA? WE CAN HELP! Relocating overseas can be a stressful time, especially if you’re moving as far away as America. At Schepens, we aim to help make every move as simple and stress-free as possible by helping with every step of your move – from planning and packing to shipping, delivery and storage on arrival. We have a great deal of experience and knowledge in removals to the USA, ensuring that your shipping will arrive on time and securely at your destination. We have helped people to move to all areas in America, including: New York City, Washington DC, Los Angeles, Miami, San Francisco, Denver, Texas, Philadelphia, Atlanta and Chicago. It is not a complicated procedure to move to the USA. Listed below is the primary documentation required for an overseas move. Why use Schepens for removals to the USA? Having a professional team of packers supporting you can make all the difference to your stress levels! Our BAR trained removals specialists will be available to pack goods for shipping, create an inventory, and provide labelling on all your boxes that will mean easier unpacking at the other end. Should you wish to manage your own packing, we will provide the professional materials for you. Your Move Co-ordinator will ask about any fragile or valuable items you wish to ship. Our team will create a bespoke removals schedule for them, ensuring their safe arrival in the US. All your goods are fully insured whilst in transit to your new location in America. We offer additional insurance for extra peace of mind. We can arrange accidental damage and extended liability cover should you require it. If you are planning to leave furniture or goods behind in the UK, Schepens can arrange for a comprehensive storage service. We deliver an appropriately sized container to your door on the date you require it. The items you wish to store are loaded and transported to one of our local storage facilities. Your goods will be subject to 24 hr security , and you will have individual, secure access to them. Your goods will be shipped in our state-of-the-art removals vehicles which maintain a constant temperature and humidity. They run on air ride suspension and boast an adjustable bearing system, ensuring minimal movement of content. HOW LONG DOES SHIPPING TO THE USA TAKE? New York City, Washington DC, Los Angeles, Miami, San Francisco, Denver, Texas, Philadelphia, Atlanta and Chicago. The USA is currently the top choice for Brits either moving for work or starting a new life abroad. The lure of the USA is, of course, the shared language and similarity of culture. We’ve all grown up watching Hollywood films which means we feel very familiar with US society and values. America remains one of the world’s most affluent countries, offering huge opportunities – little wonder it’s so popular! There’s huge choice when it comes to choosing where to live in the USA, from the wetlands of Florida through to the sun-drenched beaches of California. It’s easy to forget just how big the US is, but where you live makes a big difference to travelling between the US and UK. It takes a massive 11.5 hours to get to London from San Francisco, whilst it’s just 3 hours from New York. SPEAK TO US TODAY ON 01794 323558 FOR A NO OBLIGATION REMOVALS QUOTE ON YOUR REMOVALS FROM THE UK TO THE USA. Whatever your reason for moving to the USA, relocation is a big task and it really helps to have an experienced removals partner that has extensive experience of the process. Schepens has been helping people move to every part of the USA for over a century and we have a wealth of knowledge spanning visas, customs, healthcare cover and state-specific regulations that might affect you. 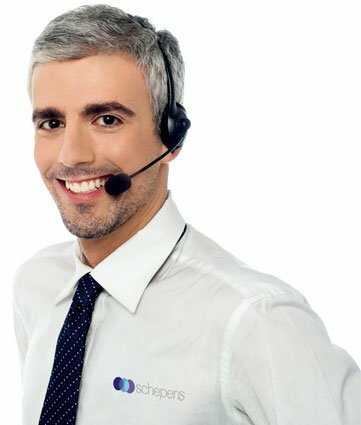 If you choose Schepens as your removals partner, you’ll immediately be assigned a Move Co-Ordinator who will work through the many stages of preparation for relocating to the USA with you, set deadlines, and create a framework, or ‘Removals Plan’, which will reduce the stress around your move, and ensure that you feel confident that you’re on track at every stage. Ideally, you would want your UK shipment to arrive at the same time as you move into your new home in the USA. We send numerous shipments across the Atlantic each week which means that we can offer flexibility to our customers around scheduling and cost. Dedicated containers will take around 6-8 weeks, whilst sharing a container is a cheaper option can take up to 12 weeks. One of the key elements of your relocation planning will be deciding what you’re taking and what you’ll leave behind. Schepens can help with this process, and we also have a door-to-door storage service and secure storage sites across the UK. Early on in your planning process, we’ll ask whether you have any particularly valuable, or fragile items which we’ll create a bespoke transportation plan for. Obtaining the correct US visa is a complex process if you’re not being automatically granted one because you have a job to go to. We would always recommend that you speak to an immigration lawyer who will be able to discuss the range of options with you, and determine what will be right for you. Be warned that the process can take up to a year, so it needs to be factored in to your moving plans. You absolutely have to have health insurance in the USA, or you will be hit by big bills for medical treatment. Emergency treatment is free for US citizens but beyond that healthcare is solely an individual responsibility. It’s worth taking a look at expat insurance providers as they are able to offer detailed advice on what you need to cover, and transparent pricing on their services. It’s difficult to generalise, but there are a number of very impressive free state schools available across the USA.Unfortunately acceptance at your local top-rated school may come down to your postcode, so it’s worth checking out education resources in your area when planning where to live. The curriculum covers similar subject areas to the UK but the exam system is quite different. Packing – we have a dedicated team of international, BAR trained removals specialists who understand removals to the USA and can offer local advice and support. They offer professional packing, labelling for each box to facilitate easier unpacking in your new home, and the creation of a detailed inventory for you. If you would prefer to do your own packing we will provide professional packing materials. Insurance – we believe in complete peace of mind when it comes to removals, which means that your goods will be comprehensively insured throughout their journey to the US. We offer additional insurance packages for accidental damage and extended liability. Storage – whatever you would like to store back in the UK, we can offer a comprehensive, trouble-free storage package. Your goods will be securely located at one of our UK storage facilities. Removals Fleet – Your goods will be shipped in one of our state-of-the-art removals vehicles which maintain a constant temperature and humidity, run on air ride suspension and boast an adjustable bearing system, which ensures little or no movement of vehicle content. We can’t promise that there won’t be any challenges along the way, but we offer a cast-iron guarantee that our professional movers will respond creatively and proactively to issues as they arrive. We are a family run, fourth generation removals company with a second-to-none reputation for customer service, and extensive experience in helping families and professionals move to their new home in the USA. We have helped people to move to all areas in America, including: New York City, Washington DC, Los Angeles, Miami, San Francisco, Denver, Texas, Philadelphia, Atlanta and Chicago. GIVE US A CALL TODAY ON 01794 323558 TO FIND OUT HOW SCHEPENS REMOVALS TO THE USA CAN SUPPORT YOU AT EVERY STAGE OF YOUR MOVE TO AMERICA. If you need removals to the USA, then Schepens has the experience, expertise and local knowledge to offer you a smooth, trouble-free move. Call 01794 323558 today!